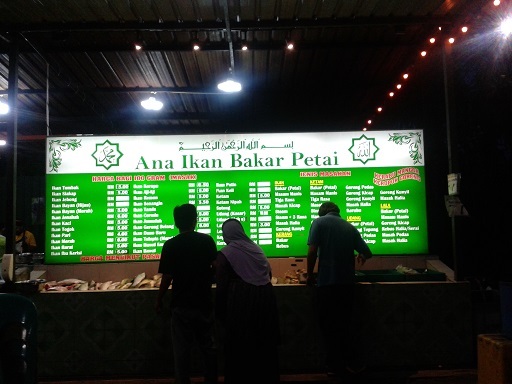 Eat, Pray, Love (My Life, Is) : Delicious Stink Bean Cuisines @ Ana Ikan Bakar Petai, Bandar Baru Bangi & Tom Hanks’ “Captain Philips”! 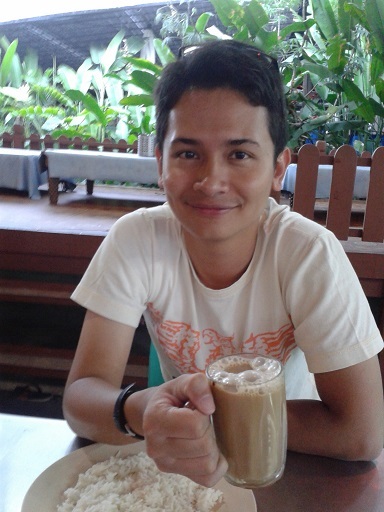 Prior to me going back to Jitra (tentatively tomorrow; but it’s all subject to my mood. Hahaha! 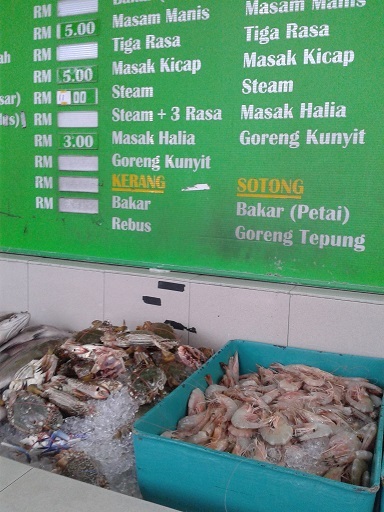 ), I make plan to savour seafood at the famous Ana Ikan Bakar Petai branch in Bandar Baru Bangi as Kakak had been talking about it endlessly and I have been reading good reviews (mostly! There are bad reviews as well) about it. So, dashed the car to Bandar Baru Bangi! The raw “aquatic” food. Hahaha I don’t know how to describe them! 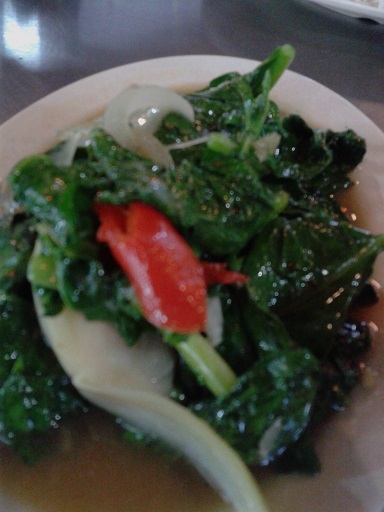 The typical side-dishes in Malay-Thai cuisines; the Tom Yam and salted-fish Kailan! 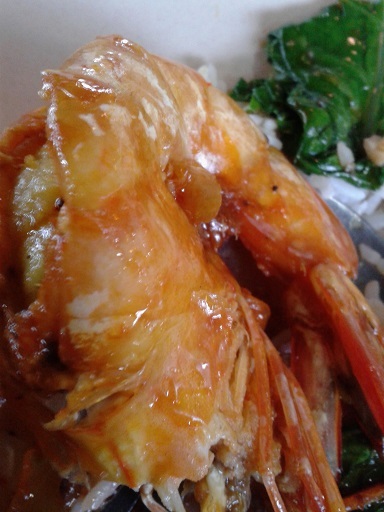 The shrimp/prawn..or whatever you wanna call them! LOL! Yummy! I love prawns! 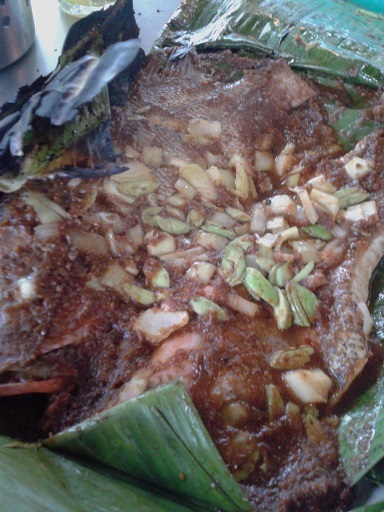 and of course, it’s most famous dish of all, the roasted fish cooked with stink bean (“ikan bakar petai”)!!! All I can say is that we enjoyed the food immensely. And, since it has been ages since I last enjoyed these kind of food (you know, I have been avoiding seafood due to my diet regime! 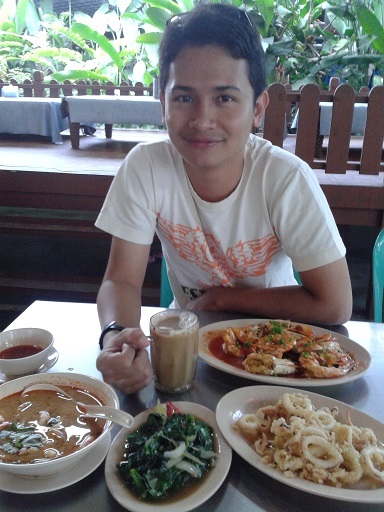 ), my stomach felt so full! 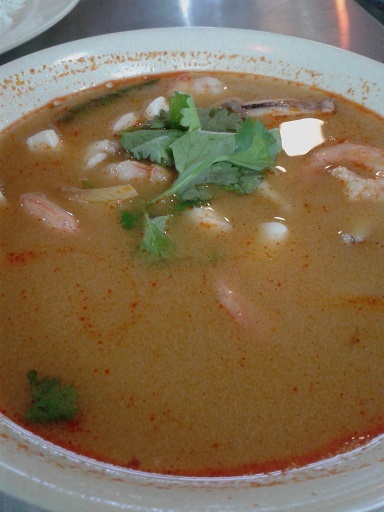 Altogether for two persons, it all worth RM109! 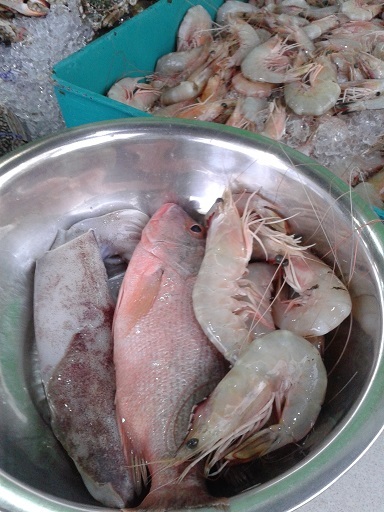 I know, it is quite costly but yeah, 6 big prawns, 1 fish, 1 big squid and others? I don’t mind if my heart is satisfied with the food and customer service. 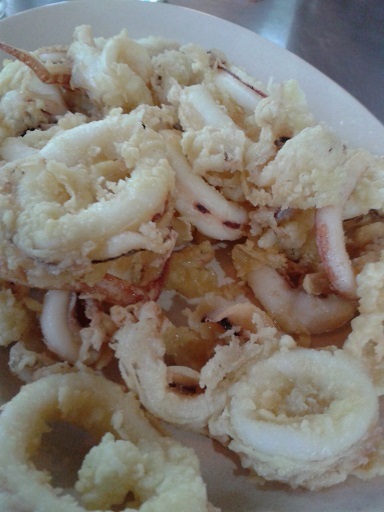 The deep fried calamari! My favourite! Satisfied! 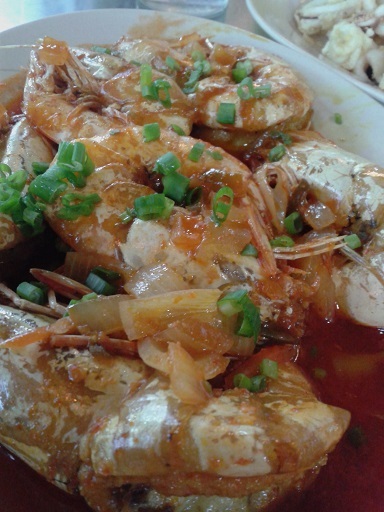 The restaurant’s special delicacy – “Roasted fish cooked with stink bean (“ikan bakar petai”)!! Simply DELICIOUS! 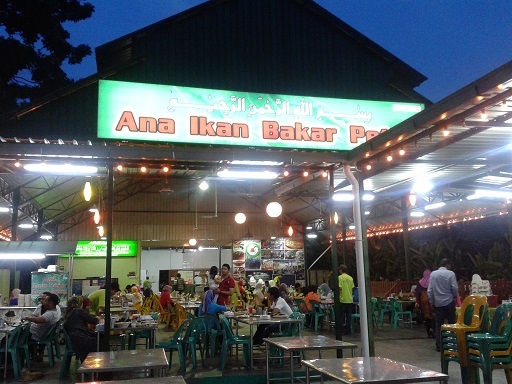 Hence, my review for Ana Ikan Bakar Petai Bandar Baru Bangi is all positive. 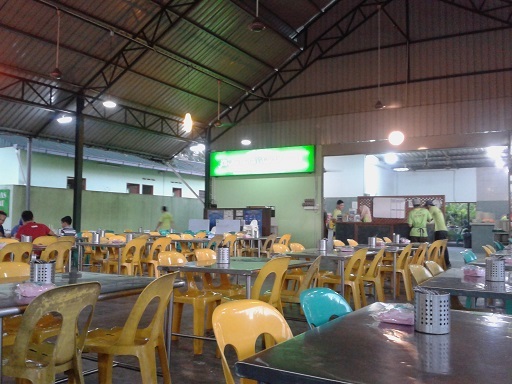 Good food, spacious place to eat and parking lot; and there is “surau” (musolla) for Moslems to pray. Don’t hesitate! It is just beside the Bandar Baru Bangi Fire Station & a straight direction from the Bandar Baru Bangi township and also Putrajaya Precint 14. Spacious place with a musolla! After Maghrib prayer, went to GSC Alamanda, Putrajaya (it has been ages!!!) 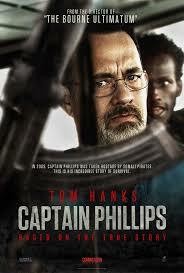 to watch “Captain Philips” starring Oscar winner, Tom Hanks. Loosely based on true story of the hijacking of Maersk Alabama ship and the kidnapping of the ship’s captain, Richard Phillips (you guys can read here for detailhttp://en.wikipedia.org/wiki/Maersk_Alabama_hijacking) ; the movie was money-worthy, for me. Well, it was not really a movie full with climaxes but it was smooth-flowing. Of course, the idea of to showcase the sophisticated defense of the US is inevitable via the involvement of US navy and SEAL in the story but this movie also explores on the hardship of life in Somalia which forces people to do unthinkable things like hijacking ships and kidnapping people! Barkhad Abdi as pirate leader Abduwali Muse. 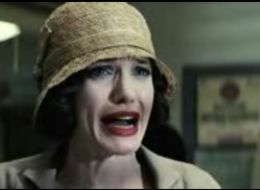 Oscar buzz? I read that there were Oscar buzz for the Somali-American actor, Barkhad Abdi who portrayed the character of the pirate leader, Abduwali Muse. 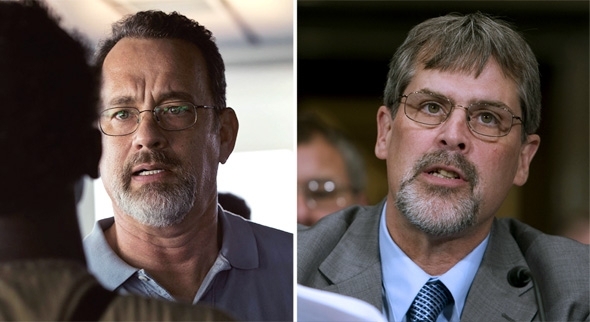 But of course as a legendary actor, Tom Hanks was good especially his emotional portrayal of the protagonist’s post-attack when he was finally svaed from the clutches of the pirates! I felt like crying and shivering with the character as well; seeing Hank’s emotional portrayal. ← An Adonis & Apartheid-Fighter : The Epitaphs of Paul Walker & President Nelson Mandela.